Columbia Pictures produced a series of 16 Jungle Jim B-movies, from 1948 to 1956. They were set in Africa and starred Johnny Weissmuller, who had just retired from his 12-film run as Tarzan. 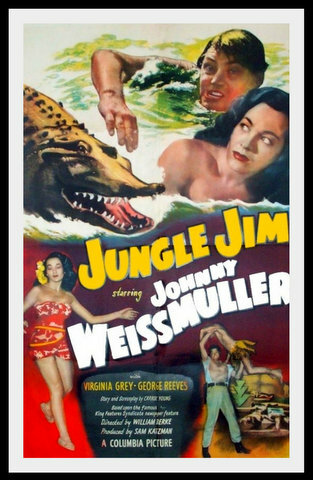 Because the television series had the rights to the name "Jungle Jim", the licensed property was dropped for the last three features, and Weissmuller played himself. This is the complete movie set with all 16 features on 16 discs.